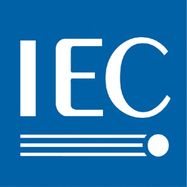 IEC is a non-profit and non-governmental international organisation which prepares and publishes international standards and assessments for electrotechnology. Its members are companies, businesses, industry associations, educational, governmental and regulatory bodies from around the world. Ocean energy is one of the industries IEC works in; ICE TC (Technical Committee) 114 prepares international standards ocean energy. IEC TC 114 has brought together 115 experts from 14 participating countries and 9 observing countries to achieve full commercial deployment of ocean energy. They work on areas such as power quality, measurement of energy converters, design requirements and others. The Policy and Innovation Group led the coordination of 62600-200 Assessment of Performance of Tidal Energy Conversion Systems of which Henry Jeffrey was the convenor. The document recommends the measurement techniques and reporting procedures in order to provide fair and suitably accurate results.